These first two pictures were taken by a KTBS helicopter flying over Lake Weiss , which is about 90 miles North of Birmingham , Alabama . The helicopter pilot and the game wardens on the ground were in communication via 2-way radios. Here is a transcript of their conversation. "Air1, have you a visual on the gator? Over." "Gator sighted. Looks like it has a small animal in its mouth. . . moving in. Over." "Oh Crap. It's a Deer!" "Confirm, Air1. Did you say Deer? Over"
"Roger--a deer in its mouth. . .looks like a full sized buck. That's a big gator, boys. 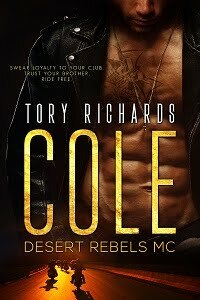 We're gonna need more men. Over"
"Roger, Air1, can you give me a idea on size of animal? Over." "It's a big one--25 feet at least! Please advise. Gator is heading to inlet. Do I pursue? Over." The deer was later found to be a mature Stag and was measured at 11 feet tall! Are you ready to go skiing on Lake Weiss ?! If you ski at the west end of the lake, try not to fall overboard. 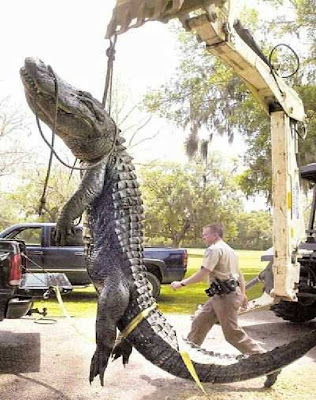 This alligator was found between Centre and Leesburg , Alabama near a house! 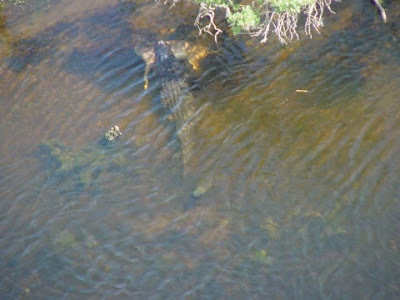 Game wardens were forced to shoot the alligator--guess he wouldn't cooperate. Anita and Charlie Rogers could hear the beast bellowing in the night. Their neighbors had been telling them that they had seen a mammoth alligator in the waterway that runs behind their house, but they dismissed the stories as exaggerations. "I didn't believe it," Charles Rogers said, but after the alligator was killed, they realized the stories were, if anything, understated. Alabama Parks and Wildlife game wardens had to shoot the beast. Joe Goff, a 6'5" tall game warden, shown below, walks past the 28'1" long alligator that he helped shoot and kill in the Rogers ' back yard. That was one BIG gator. Debbie...A deer 11 (eleven) feet tall? Can that be for real? That's taller than a lot of ceilings.... No matter the size, I hate that the stag lost it's life in such a manner. 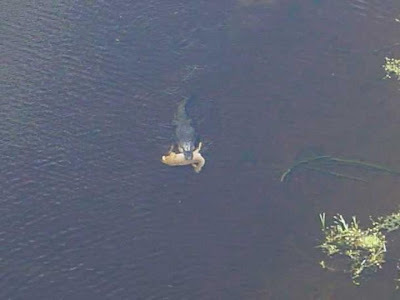 I feel bad for the gator. They do what comes naturally. I wish there was a way we could all live together. I questioned that myself Nancy and could only think that if it was a mature stag he would have a full set of antlers. I was thinking they measured from hoof to the tip but even then my hubby said he doubted it was 11 feet tall. Debby, those thoughts go through my head too. I feel bad for the giant pythons they've been finding here in Florida. Some they've had to kill. For a gator to be 25 feet long he was a pretty old dude. OMG, he is huge. Boy if you came on to something like that by the water it would scare the crap out of you. It's a shame it couldn't be captured and put in a preserve somewhere. Well, reptiles like gators and snakes never stop growing so it's conceivable that there are a few of that size around. Just hope I never meet one in person.